If you've outgrown your present home, don't waste your time and money moving to another house. Instead, create your dream home, and add value to your property, with an addition from Gilmore Construction. 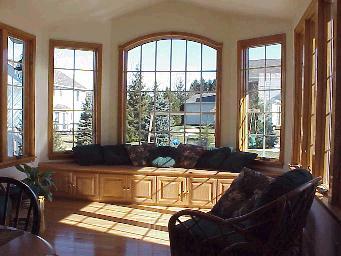 Lots of natural light, like window walls, bay windows, or skylights. Gas fireplaces or woodburners for coziness. Cathedral ceilings for a dramatic touch. Hardwood floors for a luxurious, warmer look. The "look and feel" of this Website, including functionality and computer code, Copyright 1998-2018 by CommEdgeSM.